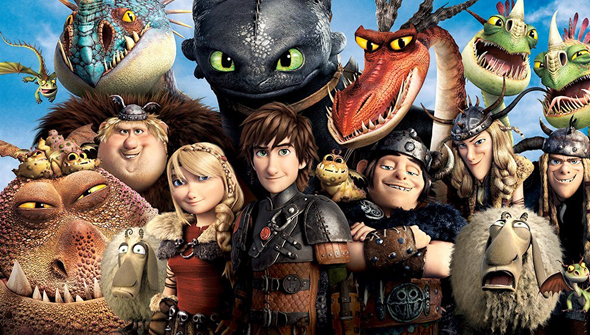 How To Train Your Dragon 2 may have come out months ago now, but it's very much back in the public eye, thanks to its numerous awards successes. Now as awards season nears its end, people are starting to look ahead to the third part in the series. Currently scheduled for a release way off in 2018, How To Train Your Dragon 3 is intended to be- if not the final film in the series- at least the end of the story begun in the first film, and the "culmination of Hiccup's coming of age". Talking to Collider at last week's VES awards, director Dean DeBlois has been chatting about how the second film fits in as part of the wider story, and revealed a few details about the third film too. We've avoided any major spoilers, but the rest of the post contains a few spoilery details about the second film you may want to avoid if you haven't seen it yet. We'll stick it all after the jump. You have been warned. DeBlois revealed that the third film is going to feature the return of villain Drago Bloodvist. One of the few criticisms leveled at the sequel was that there really wasn't enough time to develop the villain properly. It turns out there's a good reason for this- he was never even supposed to appear in the film at all. The original plan was for Hiccup's mother to be a "sympathetic" villain, and with Drago meant to be introduced in the third film. His character is set to be much more complex this time around, and be considerably more developed. And much more of a threat too. The story will see Hiccup and Toothless both now as chiefs of their respective tribes. There are also revelations about where the story is likely to end up, and how it relates to the original books by Cressida Cowell. We're not going to post it here, but if you're interested you can check out the full interview and video here. DeBlois is currently deep into the script writing and says he'll have to "hand it off pretty soon". How To Train Your Dragon 3 is due to hit cinemas in summer 2018.